The late Professor Robert Wilensky obtained his B.A. in Mathematics in 1972, and his Ph.D. in Computer Science in 1978, both from Yale University. His research interests included the role of memory processes in natural language processing, language analysis and production, and artificial intelligence programming languages. Projects focused on digital information services, which include trust management and determining the reliability of information, people, and services; the Digital Library Project (with Richard J. Fateman); and the development of petabyte storage infrastructure technologies (under the auspices of CITRIS). His professional career spanned 28 years at the University of California at Berkeley, beginning with his initial faculty appointment in 1978 in the EECS Department. In 1996 he was named Professor in the UC Berkeley Information School. In addition to his professorial duties, Professor Wilensky also served as Chair of the Computer Science Division (1993-1997), Director of the Berkeley Artificial Intelligence Research Project, Director of the Berkeley Cognitive Science Program, on the Board of Directors of the International Computer Science Institute (ICSI), as well as numerous other institutional and national advisory committees. He was the author or co-author of many scholarly articles, conference papers, and technical reports on artificial intelligence, planning and knowledge representation, natural language processing, and information dissemination. He also authored three books, two of which are well known in the LISP program language literature - LISPcraft and Common LISPcraft - and a third entitled Planning and Understanding: A Computational Approach to Human Understanding. 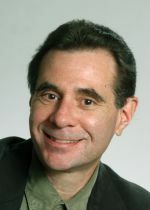 In recognition of his "research contributions to the areas of natural language processing and digital libraries as well as outstanding leadership in Computer Science," Professor Wilensky was named Fellow of the ACM in 1997. In addition, he was an Honorary Member of the Golden Key National Honor Society (1995), a Fellow of the American Association for Artificial Intelligence, and was an ACM National Lecturer. Professor Wilensky's distinguished career notwithstanding, he prided himself as being the author of the following well-known quote: "We've heard that a million monkeys at a million keyboards could produce the Complete Works of Shakespeare; now, thanks to the Internet, we know this is not true." Professor Wilensky passed away March 15, 2013, and is greatly missed by all who knew him. J. Traupman and R. Wilensky, "Collaborative quality filtering: Establishing consensus or recovering ground truth?," in Advances in Web Mining and Web Usage Analysis: Revised Selected Papers from the 6th WebKDD 2004 Workshop on Knowledge Discovery from the Web, B. Mobasher, O. Nasraoui, B. Liu, and B. Masand, Eds., Lecture Notes in Artificial Intelligence, Vol. 3932, Berlin, Germany: Springer-Verlag, 2006, pp. 73-86. R. Kahn and R. Wilensky, "A framework for distributed digital object services," Intl. J. Digital Libraries, vol. 6, no. 2, pp. 115-123, April 2006. T. A. Phelps and R. Wilensky, "Two diet plans for fat PDF," in Proc. ACM Symp. on Document Engineering, New York, NY: ACM Press, 2003, pp. 175-184. J. Traupman and R. Wilensky, "Experiments in Improving Unsupervised Word Sense Disambiguation," University of California, Berkeley, Department of EECS, Computer Science Division, Tech. Rep. 03-1227, Feb. 2003. T. A. Phelps and R. Wilensky, "The multivalent browser: A platform for new ideas," in Proc. 2001 ACM Symp. on Document Engineering, New York, NY: ACM Press, 2001, pp. 58-67. T. Riggs and R. Wilensky, "An algorithm for automated rating of reviewers," in Proc. 1st ACM/IEEE-CS Joint Conf. on Digital Libraries, New York, NY: ACM Press, 2001, pp. 381-387. T. A. Phelps and R. Wilensky, "Robust intra-document locations," Computer Networks: The Intl. J. Computer and Telecommunications Networking, vol. 33, no. 1-6, pp. 105-118, June 2000. R. Wilensky, D. N. Chin, M. Luria, J. Martin, J. Mayfield, and D. Wu, "The Berkeley UNIX Consultant Project," Artificial Intelligence Review, vol. 14, no. 1-2, pp. 43-88, April 2000. T. A. Phelps and R. Wilensky, "Multivalent annotations," in Proc. 1st European Conf. on Research and Advanced Technology for Digital Libraries, C. Peters and C. Thanos, Eds., Lecture Notes in Computer Science, Vol. 1324, London, UK: Springer-Verlag, 1997. D. Forsyth, J. Malik, and R. Wilensky, "Searching for digital pictures," Scientific American, vol. 276, no. 6, pp. 88-93, June 1997. T. A. Phelps and R. Wilensky, "Toward active, extensible, networked documents: Multivalent architecture and applications," in Proc. 1st ACM Intl. Conf. on Digital Libraries, E. A. Fox and G. Marchionini, Eds., New York, NY: ACM Press, 1996, pp. 100-108. T. A. Phelps and R. Wilensky, "Best Paper Award: Multivalent documents: Inducing structure and behaviors in online digital documents," in Proc. 29th Annual Hawaii Intl. Conf. on System Sciences: Digital Documents, M. S. Lynn, Ed., Vol. 5, Los Alamitos, CA: IEEE Computer Society Press, 1996, pp. 144-152. R. Wilensky, "UC Berkeley's Digital Library Project," Communications of the ACM, vol. 38, no. 4, pp. 60, April 1995. R. Wilensky, Common LISPcraft, 2nd ed., New York, NY: W. W. Norton & Company, Inc., 1986. R. Wilensky, LISPcraft, New York, NY: W. W. Norton & Co., Inc., 1984. R. Wilensky, Planning and Understanding: A Computational Approach to Human Reasoning, Advanced Book Program, Reading, MA: Addison-Wesley Publishing Co., 1983. R. Wilensky, "Understanding Goal-Based Stories," Yale University, Sep. 1978.